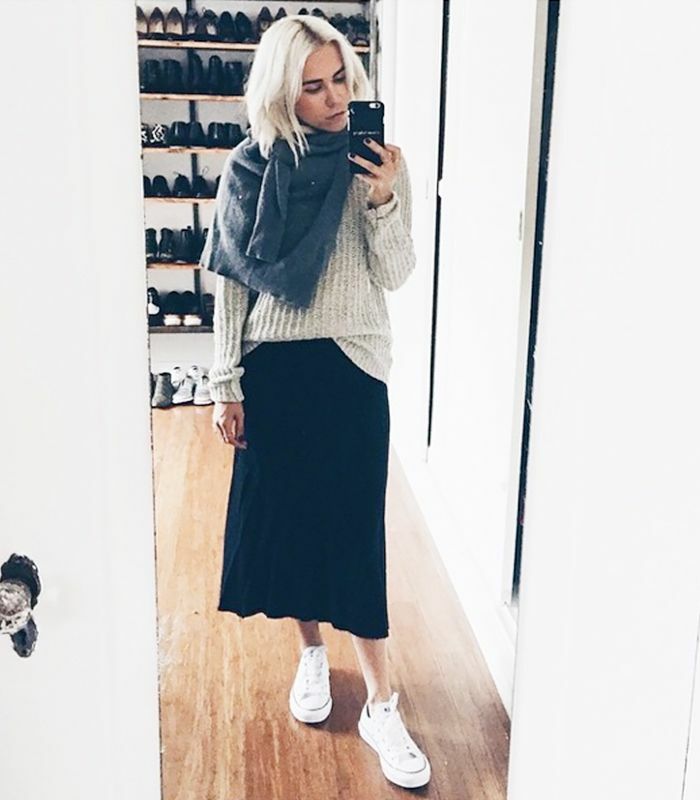 You don't need us to tell you that Instagram is an awesome source if you're in need of outfit inspiration. We highlight different pieces and trends every week that we spot on the social media platform—and the nationwide cold spell this week had us in quite the mood to throw on an oversized knit or two. To that end, we scoured Instagram and found 20 sweater looks you'll absolutely want to replicate ASAP. Keep scrolling to see and shop 20 incredibly stylish sweaters, as worn by some of the world's chicest women! "Did you see this outfit yet? More on Blameitonfashion.com"
"Forget the knit-knot for a NY minute, this is how @isabelmarant says you should wear your knit this fall..."
"Hoy visita a la @rocavillage con #sagalesshoppingbus"
"Pretending it's cold in LA"
"Midi Me-New post on Fashionvibe"
"kept semi-warm in a minidress"
"Soft Neutrals with @theoutnet IRISandINK in today's new post"
"Highstreet favorite on the blog now"
Picked out this @frenchconnection_us sweater from the men's section and an outfit for tonight's #FCPartyInTheUSA"
"Wearing a total black look." "Ready to shoot with @louisvuitton day two"
"Leather joggers + cushy knits + bag lady vibes this Monday"
"So excited to be taking over the @aritzia instagram and pinterest today!" "A little under the weather"
"Earlier in the market (wearing @rockinhorses suede hoodie & @sandroparis shoes)"
How do YOU love wearing sweaters when it gets cool out? Tell us in the comments below!